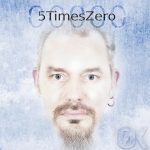 5TIMESZERO: 0̸K (Echozone) — unlike every current synthpop ever, 5TimesZero aren’t setting off continuous Depeche Mode flags in my head. They’re very much on the electro end of the scale. The album flows and works as a coherent whole. 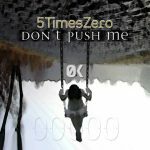 “Don’t Push Me” is the first single, with an excellent selection of remixes and a chord sequence that keeps reminding me of “Smalltown Boy”. Other tracks I particularly liked: “Pyromaniac” (histrionic, but makes it work), “Frozen” (EBM pounder with guitar sounds), “Augen der Großstadt” (good from the first notes of the sinuous bassline), “State Of Being” (toward the Hi-NRG end of EBM). Above: “Don’t Push Me”. 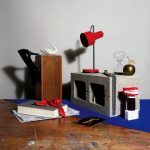 Released 10th March. POST WAR GLAMOUR GIRLS: Swan Songs (Hide & Seek) — raucous post-ish punk rock. The press release compares vocalist James Smith to Mark E. Smith and Nick Cave, but I can’t really hear either. 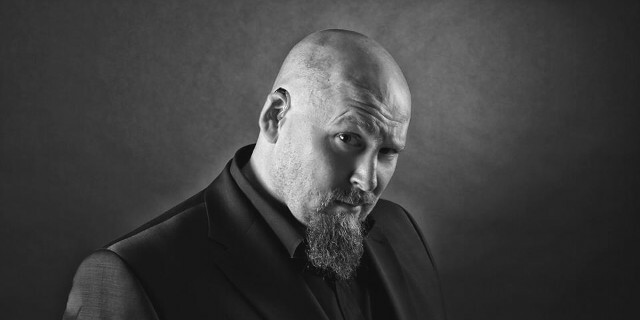 (Actually reminds me more of Marc Riley in his Creepers days.) Strong and effective shouter in tune, though. The music generally goes in a straight line in the manner of a hurtling truck (starter “Guiding Light” is an excellent example), with varying amounts of light and shade. Side two gets a bit fillerish at times, but mostly this is a very good album. Favourites: “Guiding Light”, “Chipper” (the preview track, which is pretty representative), “Big Trip”, “Welfare by Prozac”. Available 21st April. Also check the previous stuff on the Bandcamp. 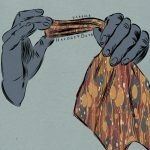 VASSALS: Halogen Days EP (Post Fun) — grungy belted-out guitar pop in pretty authentic ’90s style. Sloppy in all the right places, but fundamentally keeps a focus on the strong and hook-laden songs themselves. Four out of four good songs, as you’ll find out when it’s released 7th April. Above: “Soho”. Also check the stuff already on the Bandcamp.